6/10/18 UPDATE – Nemo is home and doing well. He’s back to his happy, playful self. Thank You for all of the prayers. 6/6/18 – Prayers for Nemo, please. 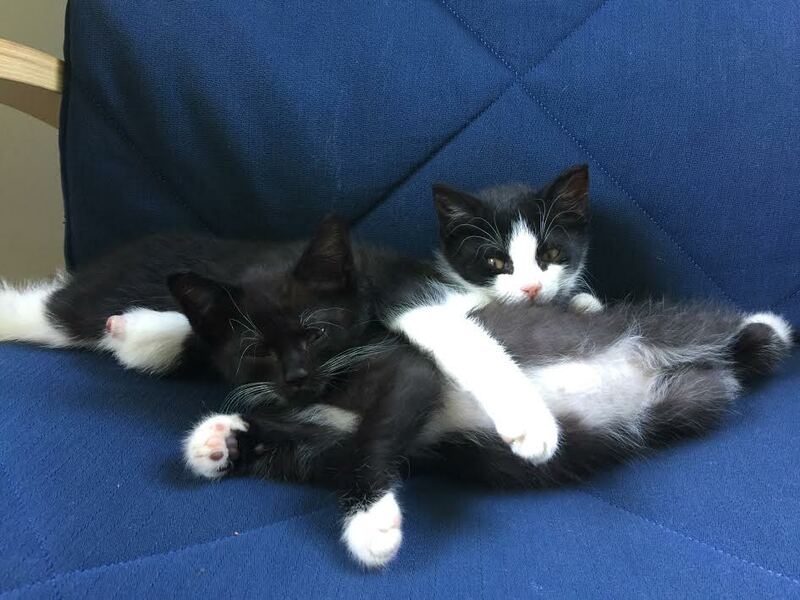 The rescue, Kittens South Mittens, saw an urgent call for help on facebook and stepped up. There was a small kitten found with just a stump for a leg. One of their fosters only had one kitten about six weeks old, and they thought Nemo would be a great playmate for their foster, Finn. The vet checked Nemo over; he tested negative for feline leukemia and FIV, and seemed healthy. He was dewormed, given his first distemper vaccine, and put on antibiotics to help his stub to heal the rest of the way. He and Finn became inseparable.